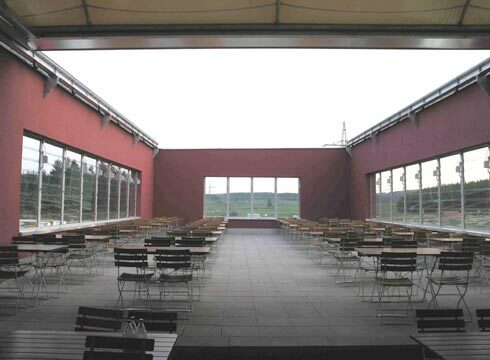 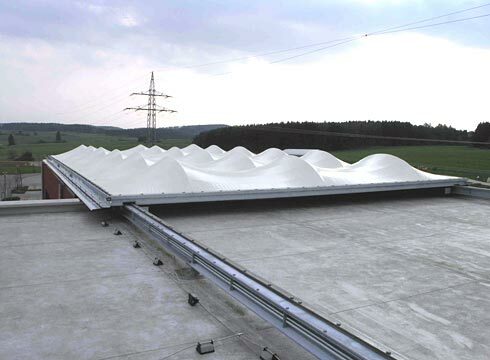 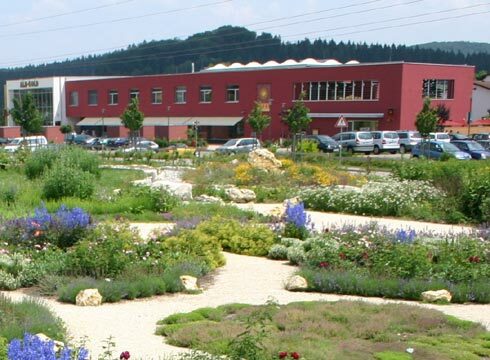 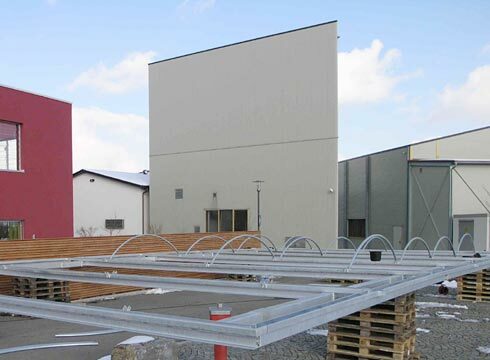 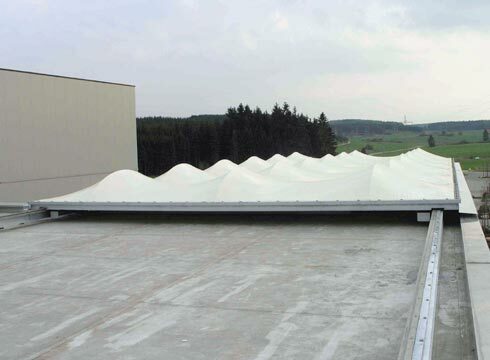 The customer centre of the pasta producer “Albgold” is situated in the very beautiful landscape of the “schwäbische Alb”. 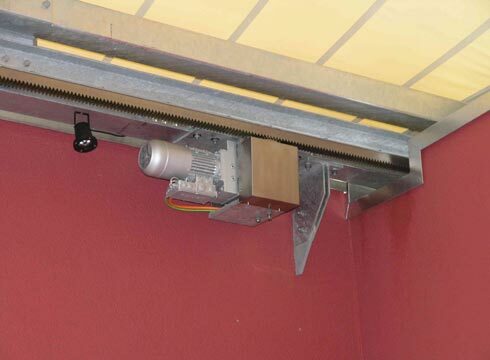 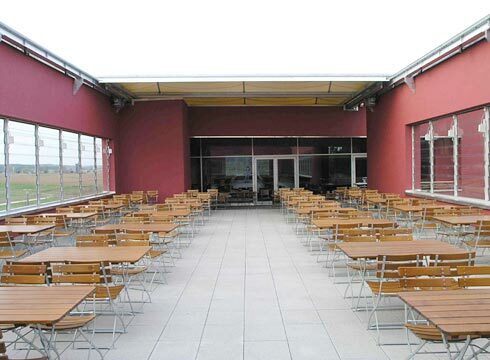 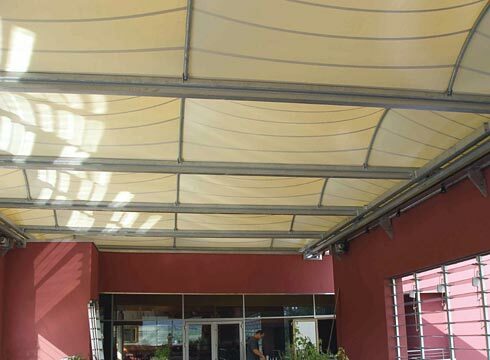 The terrace of the restaurant was equipped with a movable textile roofing, sliding aside on rails to be stored on the platform roof of the main building. 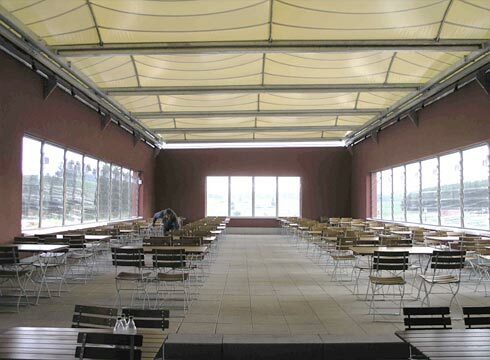 The roof is electric driven. 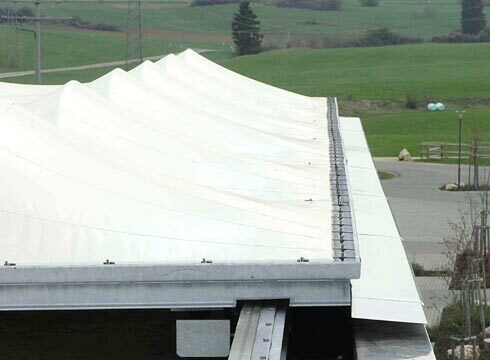 The fabric from polyester with pvc-coating spans between light curved parts in a steel frame and is able to carry the snow loads.